Dr.Malpani's Blog: What should I do when my patient demands I do more tests? What should I do when my patient demands I do more tests? We often see patients who have failed an IVF cycle, and the commonest question they ask is, "Why did the cycle fail?" They want a scientific answer, which means they expect us to do diagnostic tests in order to pin point the problem. We try to explain the limitations of medical technology to them. When we have transferred perfect embryos into a perfect endometrium, there are very few additional tests we can do which will provide us with any useful information . None of these tests will provide any actionable inputs which will cause us to change the treatment plan. This is why there's not much point in doing the tests, and it makes much more sense to repeat the cycle. However, this advice, even though it's very sensible, is not acceptable to many patients. In fact, they feel that the very fact that their beautiful embryo did not implant means that there must be something wrong with them, and that it's our job as the IVF specialist to diagnose the problem , so that we can find a solution. They feel that by not doing so, I am being sloppy and careless , and the more uncharitable ones jump to the conclusion that I just want to maximise my income by repeating the same treatment mindlessly. They hope that by running lots of tests, we will be able to find the reason for the failure ,and that by fixing the issue , we will increase their chances of getting pregnant. ( endometrial receptivity assay) which I read about on a website ? If the reason for failed implantation is a genetic problem in the embryo, then shouldn't you be doing genetic tests for us and for the embryo ? These patients are desperate , and there are lots of tests out there which are being actively marketed to try to determine the cause for failed implantation. The sad reality , which patients often don't understand , is that these tests have major limitations , and often don't provide reliable answers . In fact, they provide completely misleading data, because of the huge number of false positives which they generate. For most doctors it's just much easier to go ahead and comply with the patient's request , and order the tests. 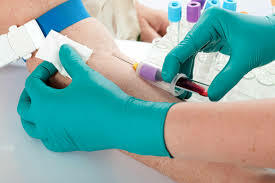 In fact, doing the test is very profitable for the doctor , because he can charge a lot of money for these tests , and the more expensive the test, the more the money he can charge. Ironically , the costlier the test, the happier the patient , because she feels that the doctor is doing everything possible to try to get to the "root" cause of the failure ! It takes me a lot of time to explain to patients why these tests are useless. When I tell them why they don't require these additional tests, a lot of them are very unhappy. They think I'm old fashioned and not up to date with the latest advances ! Many will leave and go to another IVF doctor. This is why I sometimes wonder - isn't it true that the customer is always right? And if the patient wants the test done , why should I waste my time telling her why she doesn't need it ? Why not just go ahead and do it, to keep her happy?